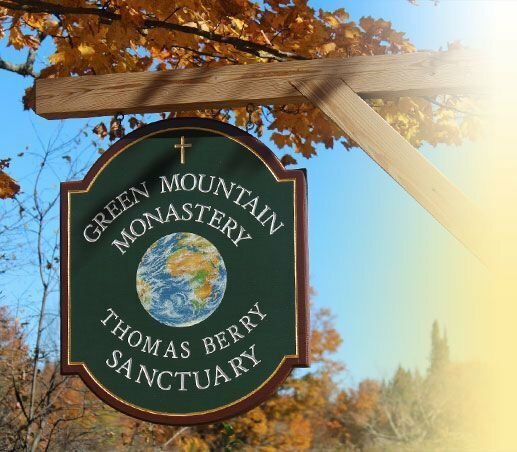 An invitation to Sisters of Earth: 20th Anniversary Celebration of Green Mountain Monastery and 10th Anniversary of the passing of Thomas Berry Place: Green Mountain Monastery and Thomas Berry Sanctuary in Greensboro, Vermont Date: Weekend events May 31-June 2, 2019 On June 1, 1999 Bernadette Bostwick, Gail Worcelo and Rita O, set out from St Gabriel’s Monastery in Clarks Summit, Pennsylvania, (where the first Sisters of Earth Gathering was held in 1994), to co-found with Thomas Berry a new community dedicated to the protection and flourishing of the Earth Community. Ten years to the day, on June 1, 2009, Thomas passed away. 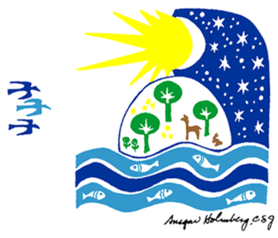 We will be celebrating these two anniversaries with many events including the unveiling of 4 Cosmic Stained Glass Windows by the renowned glass artist Amber Hiscott from Wales. Cellist, Eugene Friesen, from the Paul Winter Consort will also be performing. For those unable to attend the weekend, a Zoom Call is scheduled for June 1, 2019 with people from around the world to celebrate Thomas Berry. Let us know if you would like to join us for any of these events. Thank you!